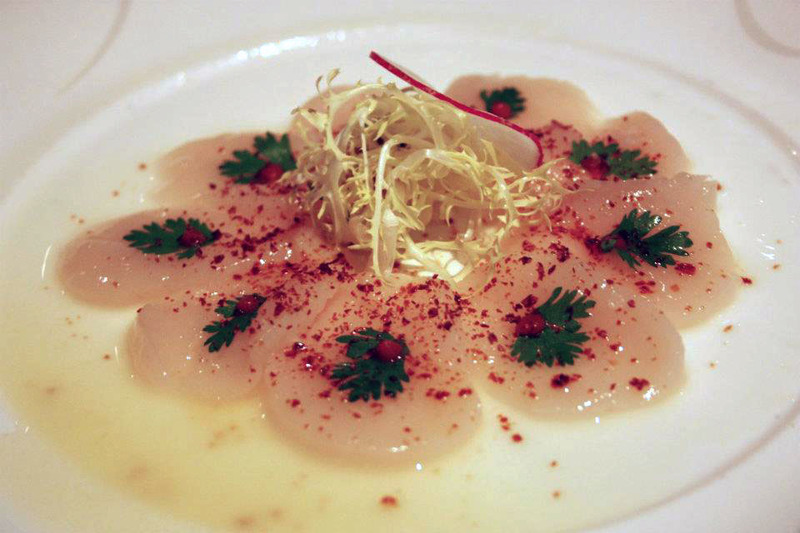 Back when I was living the good life in Hong Kong, I had a great little dinner at Nobu at the InterContinental, which I now realize that I wrote briefly about but never published an article on. Back then I was busy working on writing articles for the wine blog, and every once in a while the old AmusedBouche fell on the back-burner when it came to harnessing literary flow. In a place where every little stuffed bao deserved its own post (really…), where I would be bombarded by novelty on a daily basis, I took a step back to experience things to the fullest, leaving the writing for later on when I was no longer caught up in the moment, when it had all sunken in. It still hasn’t, but I guess it never completely will. When I say that I wrote about Nobu, I mean that I scribbled (well, typed into an iPhone app) some notes about each dish. I stumbled upon these as well as upon some not-so-great quality photos of the meal (apologies, in advance) during a recent attempt to rid my phone of the burden of old data and decided to revive them. It was, after all, one of the funner nights out in Hong Kong. My colleagues and I were celebrating our participation at VinExpo, during which, as press, I got to sit in on every tasting and every pairing lecture lead by top people in the industry, as well as receive a boat-load of bottles as gifts. We chose to celebrate with… wine – what else? A Chateau La Nerthe Chateauneuf-du-Pape, a Domaine Zind-Humbrecht Pinot Gris Clos Windsbuhl and some bubbly Perrier Jouet to toast over. My dining companions were sommeliers, so the task of selection did not even lightly tap me on the shoulder, let alone weigh me down. Amidst the wine, the edamame and the good cheer, it began. 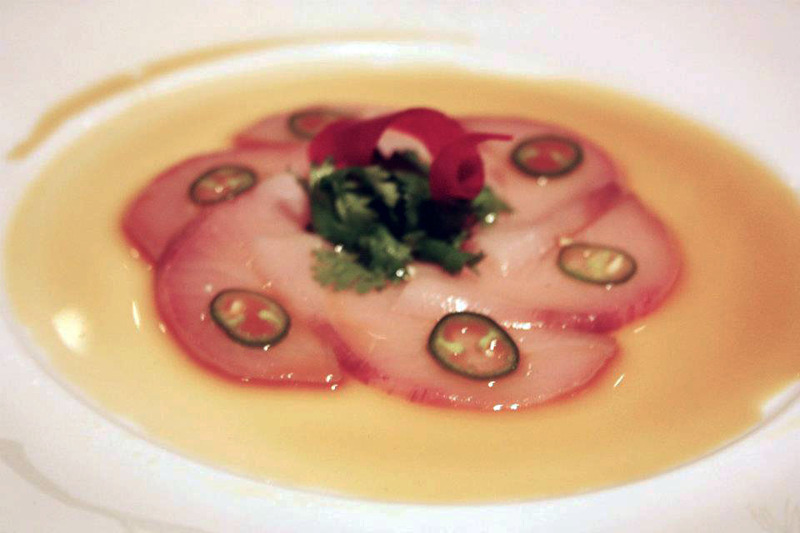 First up was a Nobu classic, the Yellowtail Sashimi with Jalapeño, served over a very mild, diluted yet still flavorful soy. I wrote down “Creamy, sweet, soft, firm, fresh, slippery fish complemented by salty soy and boosted but not overpowered by the spice from the (thankfully) seedless jalapeño slices. Funky play on Peruvian to have jalapeño bringing the heat instead of miso. Feels like ‘Slipping into something a little more comfortable’ before the beginning of the meal.” I guess that kind of sums it up. Great in its simplicity, a great way to ease into a not so simple line-up. 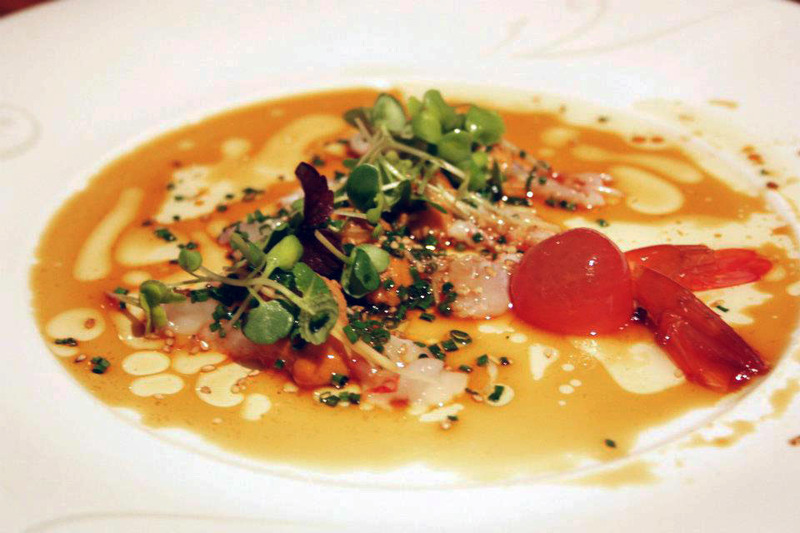 The Whitefish Sashimi with Dried Miso was slightly heartier, heading in the right direction from the yellowtail. Thicker, juicier slices of buttery, firm whitefish gently touched with yuzu (and lemon?) juice, sprinkled with earthy dried red (aka) miso dust, which I actually mistook for paprika for a second (wouldn’t that have been a horrible little dish…), and garnished with a thin sliced radish. The miso gave it a great salt element but one which pulled the dish into an umami direction. Next was a sashimi of Botan Ebi and Uni. A nice harmony of sweet, thinly sliced prawn (which I actually would have preferred left whole, as is usually the case at Nobu) and slimy little bits of murky, funky uni melting like butter all over the palate. Light soy sauce and microgreens. Not too many notes on this one. Next up a Lobster Salad with Spicy Lemon Dressing which I remember solely for the wonderful quality of the lobster tail (top) and claw (below) meat served – succulent, snow-white bits of fatty sweet flesh with that addictive tightness which makes the teeth feel like its bursting something when biting into it, like ripping the casing of a densely packed sausage. 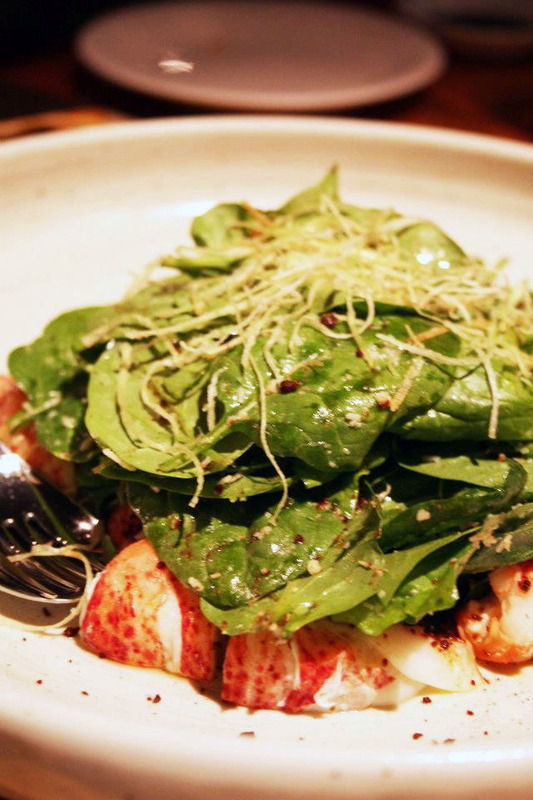 The fresh baby spinach salad heaped over the meat was nice, the acidity of the lemon boosting the sweetness of the lobster without directly being applied to the latter, which was creative I guess. The spice from some chili garlic spice and the umami from dried red miso also added nice layers of flavor which I wasn’t expecting, overall a heat which awoke the palate to pay attention to everything else a bit more. Fried shredded leaks gave a nice crunch, but a textural contrast I wasn’t really looking for. 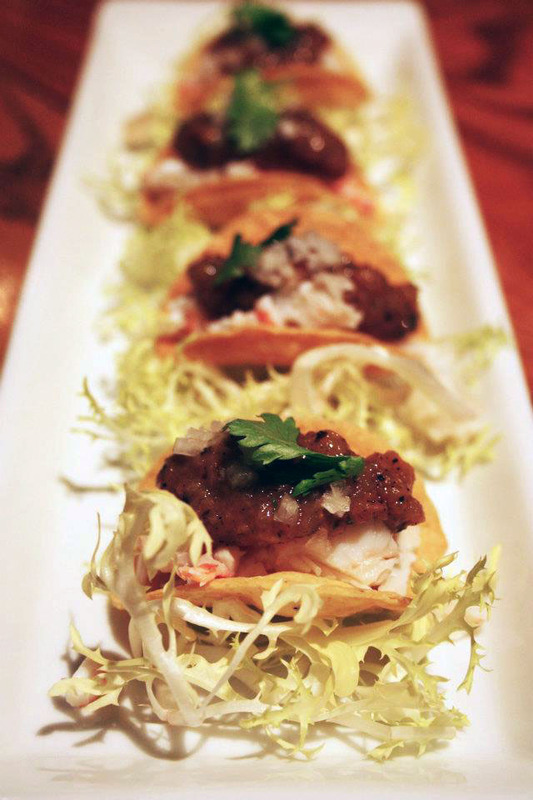 Oh gosh – apparently I did not enjoy too much Nobu’s Sashimi Tacos, since the notes just say “Fusion Fail.” Although I do not remember this dish too well at all, I do seem to remember fresh crab served on a slightly too dry shell, overwhelmed with a jam-like, way too sweet goop of something. I remember thinking the crab was being overpowered and that, if we were taking it in the fried carb direction, I would have preferred a rangoon from a Chinese take-out box instead. Shortly after came the Fatty tuna, Shiitake Mushroom, Miso which featured heavenly soft fatty otoro that melted and left its luxurious, sinful residue of flavor splashed over the palate. Delicate mushrooms gave the jaw the faintest bit of exercise. The red miso sauce added a vibrant color to the dish and packed flavor into the tuna, which was otherwise largely left unseasoned in order to be able to pick up the flavors around it. Next up was one of my favorite recipes, one which my dinner companions did not seem to enjoy too much for some reason completely incomprehensible to me – Crispy Rice with Spicy Tuna Mash. 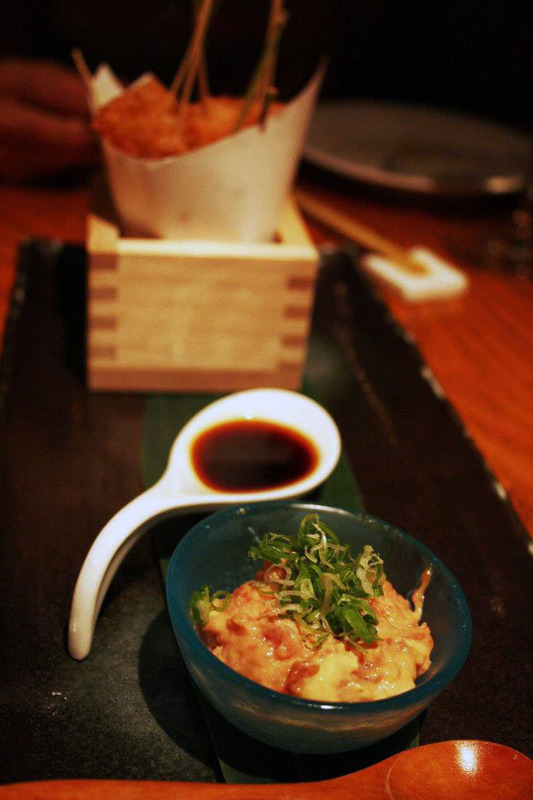 Oily and crispy on the exterior, chewy on the interior rice with soft, creamy, velvety smooth spicy tuna mash dolloped on. L.A. style, but who cares? Some aged soy to add a drop of. Toothpicks and smooth wooden mini-spoons to scoop the salmon paste with. Funky, modern, DIY presentation. What’s not to love? 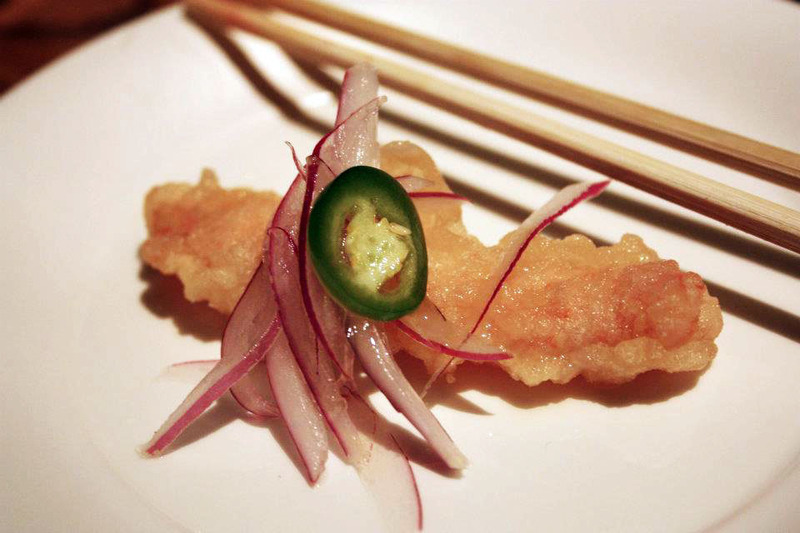 A much more serious dish was the King Crab Tempura with Amazu Ponzu, topped with thin slivers of red onion and jalapeño. Looking at it, I initially thought that the batter had not been fried long enough, since it was a bit light in color, but I was wrong. 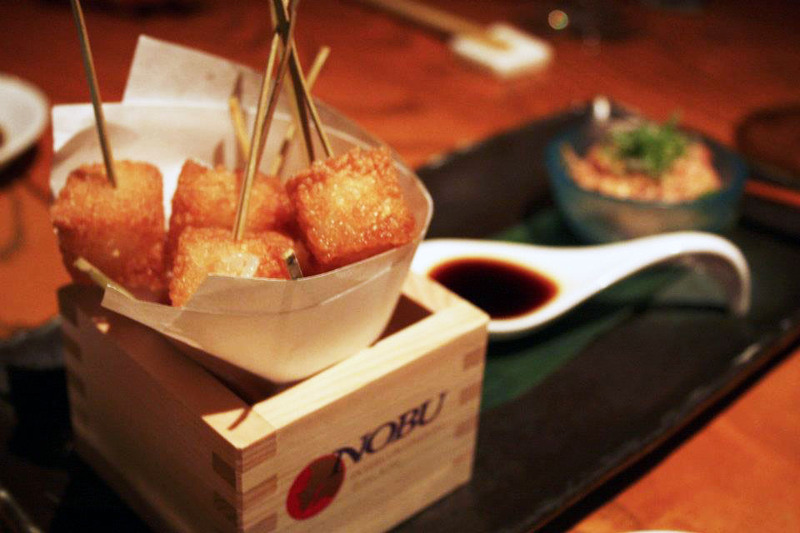 The fried jacket was airy and crisp, polished with a shiny layer of ponzu combined with amazu which seemed to be painted on with a brush. 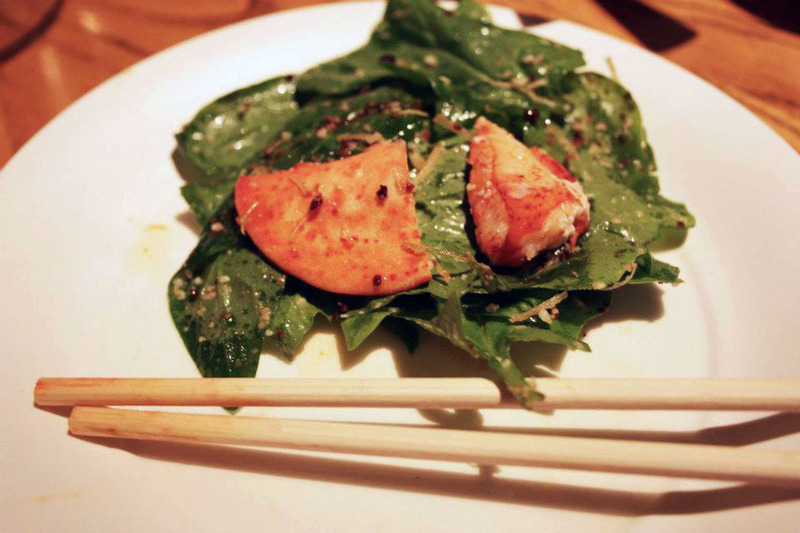 The pungent acidity from the rice vinegar of the amazu joined with the more refreshing, citric acidity of the ponzu, cut across the fat and licked the sweet flesh of the crab claw inside. 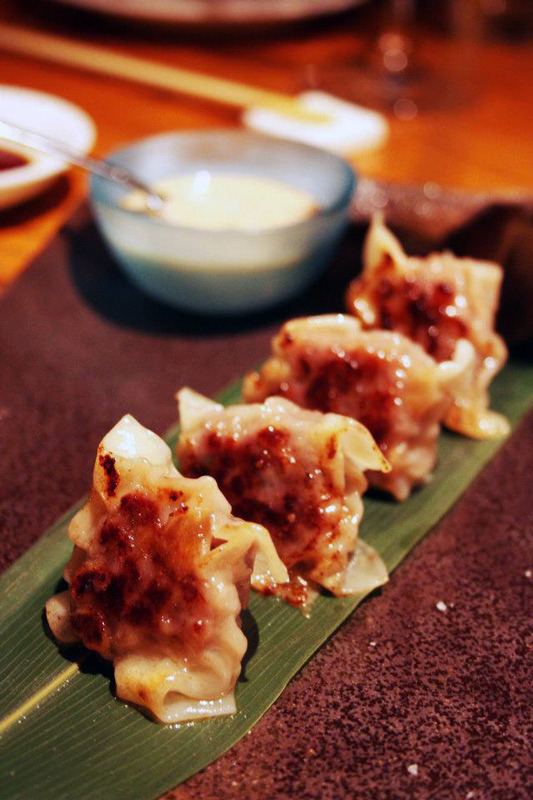 Nobu’s Crispy Pork Dumplings were pretty darn ordinary for what I was expecting when I saw it on the menu. But otherwise, not bad at all. The dumpling dough, almost the texture of raviolo pasta, was slippery and smooth around the edges, but pan-seared to a crispy texture on both sides. The ground pork inside was not over-chived, but it also didn’t have too much flavor. I don’t exactly recall what sauce was paired with this, though I seem to faintly remember something peanut-based which must’ve added some much needed flavor. I’d leave this one out, unless one is specifically looking for an interim course to not really have to pay attention to. Next up was something even simpler but brilliant in the quality of its main ingredient. 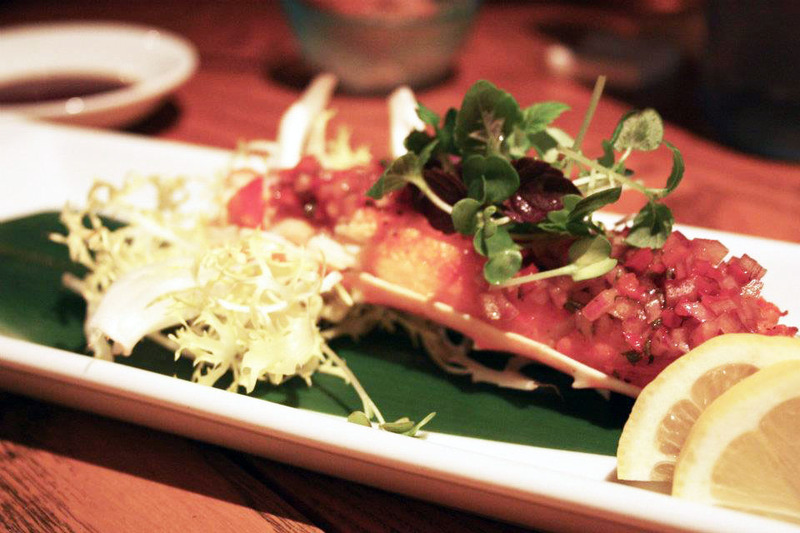 A spectacularly fresh, succulent, sweet and fall-apart fibrous King Crab Leg topped with a light little tomato salsa. My notes about this dish are the following: “Craaaaaaaaaaaab leg.” I guess either the wine had impacted my writing at this point or else the flavors of the crab really were just bold enough to warrant a 2-word summary of the dish. Next came a not-so minimalist dish, a clever little nod to Peruvian cuisine, Nobu’s Steamed Mussel with Crispy Pork Belly, served with aji amarillo for some spice. 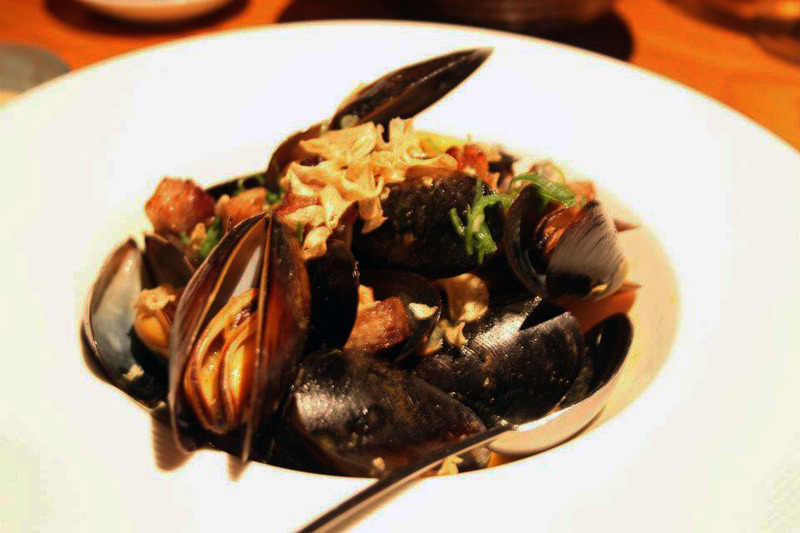 I enjoyed this dish, but remember picking out the cubes of pork belly, since the mussels were a tad too chewy for my taste and some of them had rather large grains of sand buried within, which made eating them a bit uncomfortable. Amidst all of the short little 1 or 2 word scribbles, there appears a solid chunk of text inspired by Nobu’s signature dish, the Black Cod Saikyo Yaki. When this came out, I remember a hushed silence spreading over the table, one which lasted at least a few seconds. It seemed to be everyone’s favorite. Buttery black cod ready to melt at the slightest contact with the tongue but a fish that actually had a pretty hearty, firm bite to it. The meat was brought to a tantalizing plateau of naturally marine-sweet flavor by the sweet glaze of saikyo miso (made with mirin, miso and plenty of sugar) on the fish. The outer sugars caramelized perfectly, almost shielding the soft, moist inside from air which would have dried it out. 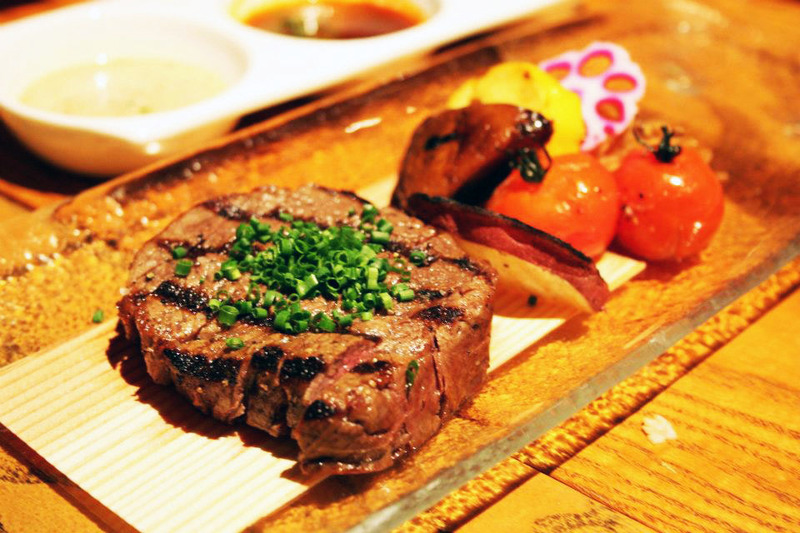 The signature filet was garnished with a single, elegant strand of hajikami ginger, a pink-tinged thing pickled in rice vinegar and flavored with wasabi for a very subtle bit of heat. Awesome dish. 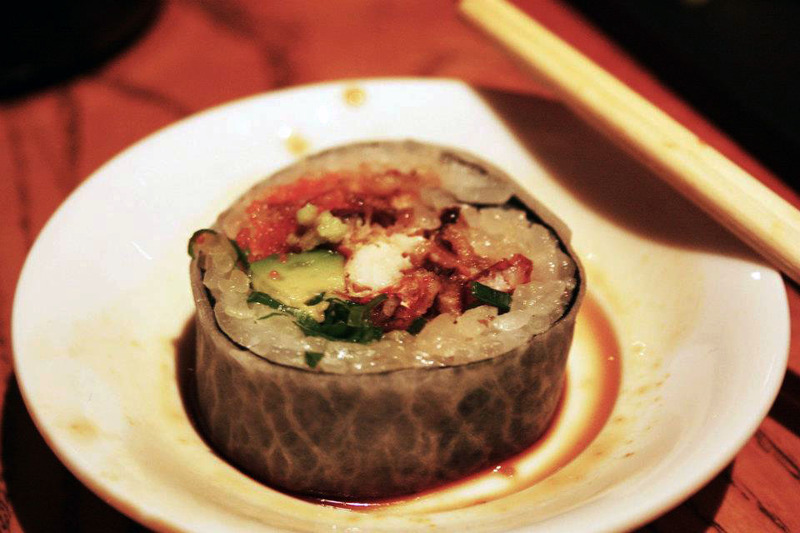 A lovely last savory dish to end on was the Softshell Crab Roll. My notes say the following: “Daikon? Very crispy fried sweet crab. Coating not made mushy by juicy avocado and sauce outside. Good ratio of sticky, soft rice to other stuff.” I also remember the tiny little orange bubbles of roe adding a great textural element to the dish, a burst of freshness and a great salty kick to the fried warm sweet crab and oily cool avocado. 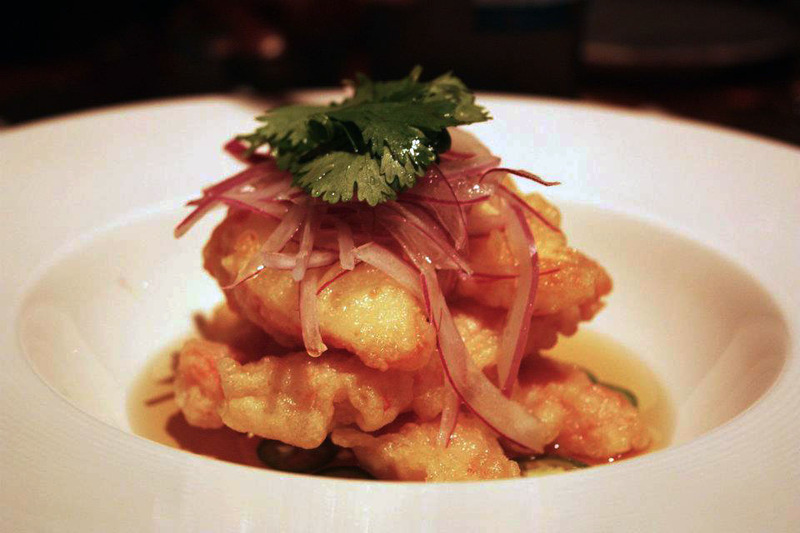 And, well, that crunch from the lightly tempura-ed soft shell crab was exciting and satisfying as always. 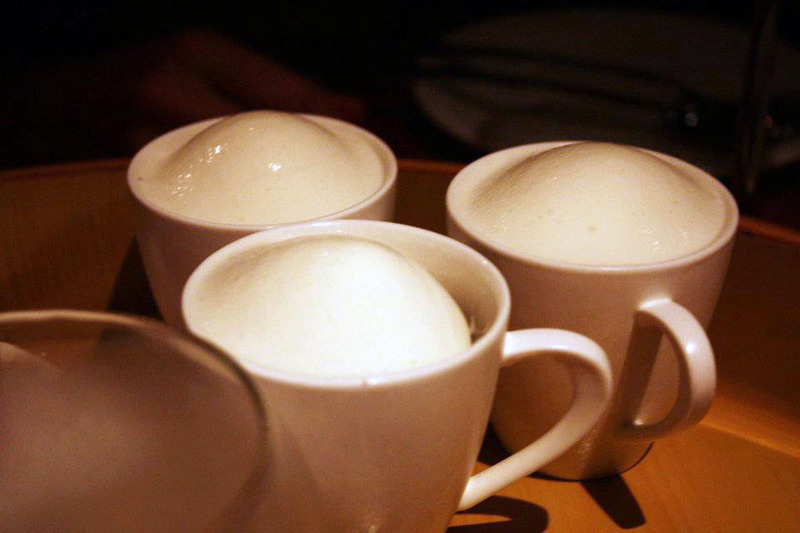 Nobu’s dessert course included some of the funnest dishlets of the night. There were some little scoops of sorbet to share, of mango and passion fruit, neither of which I remember too well or wrote too much about, but probably refreshing on a hot summer night. There was also an Irish coffee reinvented, the Suntory Whiskey Iced Cappuccino, which was probably my favorite because of its combination of textures. It had layers of a smooth, warm coffee flavored cream with a cool milk gelato melting up against it, some crunchy cocoa crumbles for texture and a great whiskey foam over the top. 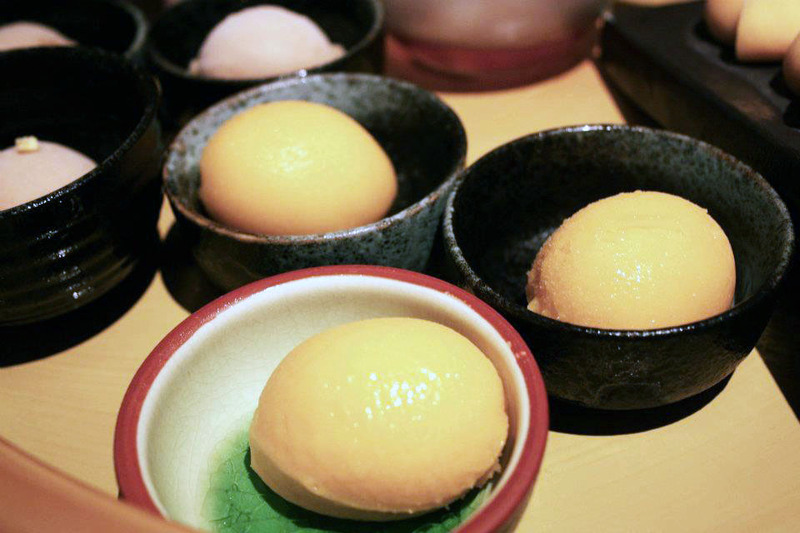 There were Ice Cream Mochi in chocolate and mango flavors, gooey, chewy and sticky on the outside with a bit of starchy powder giving them an exciting texture. 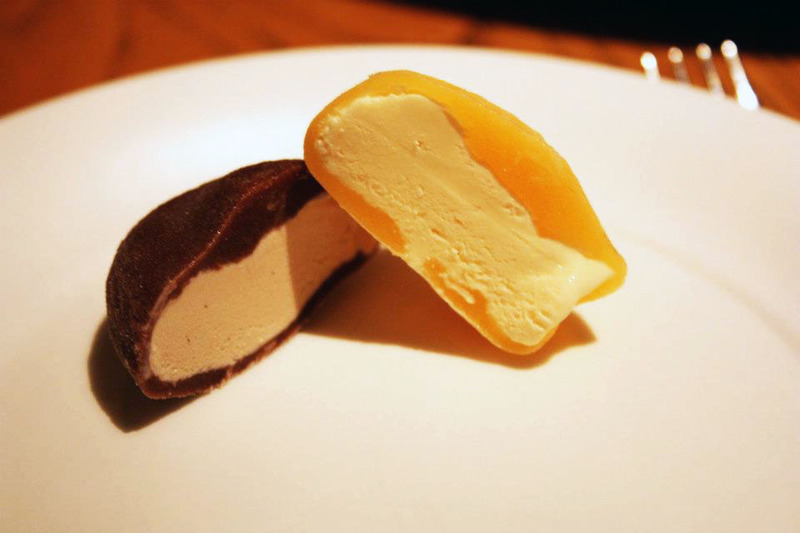 It’s best to let these sit a little so that the mochi skin loosens a bit and so the ice cream on the inside can become soft, so that the flavors show themselves better. I could’ve used a slightly more bitter and darker chocolate, but the mango one was great. 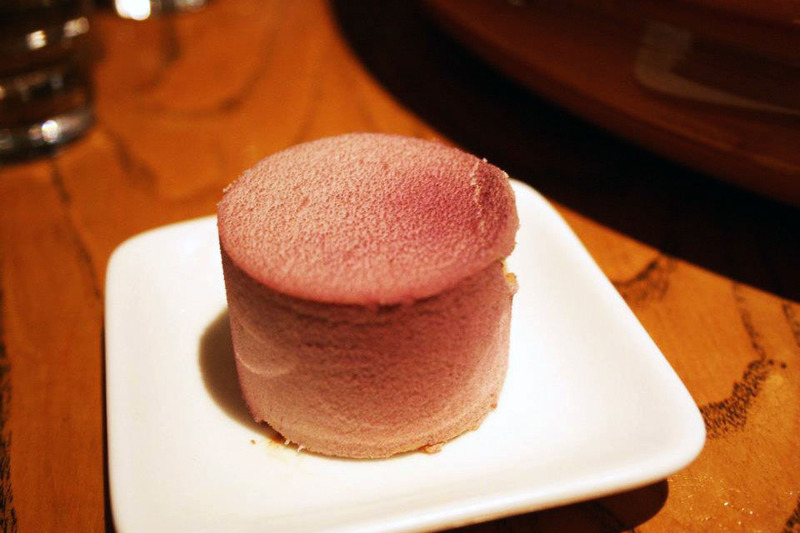 There was some sort of delicious hazelnut cream cake which had a nice purple hue to it, as if the exterior layer of buttery cream had been spray painted this color. Don’t remember this one too well either, except for that it was very soft and moist and hearty, unlike the other cool dessert which were more refreshing but watery in some cases. It was a nice dinner, made even nicer by the ceaseless flow of great wines which the sommeliers, nevertheless, complained about…as they are wont to do. The food was okay, nothing outrageous or particularly inspiring. The quality of the products themselves was excellent (to match the price tag) and the preparation was minimal most of the time to allow the ingredients their moment of glory. There actually weren’t too many examples of fusion in full force, just some jalapeño in place of miso, tacos instead of wonton wrappers and some tomato-based salsas here and there. 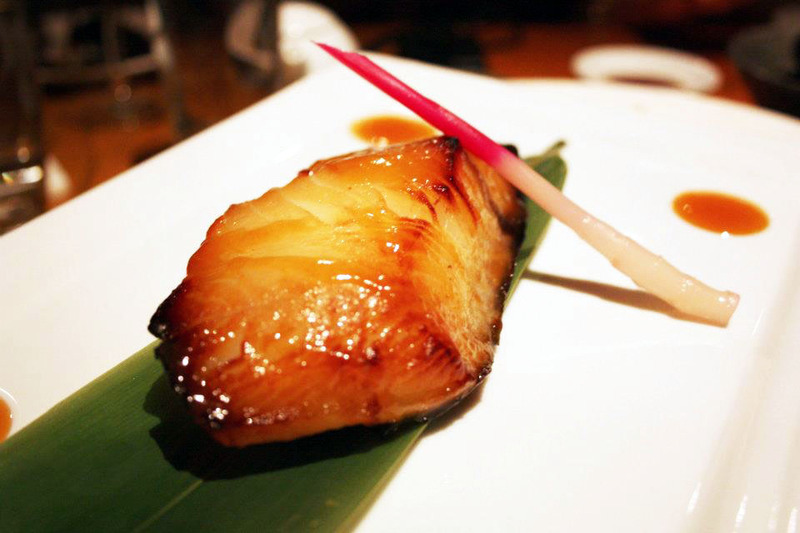 I enjoyed all of the signature dishes – the black cod, the crispy rice with spicy tuna mash, the yellowtail sashimi. 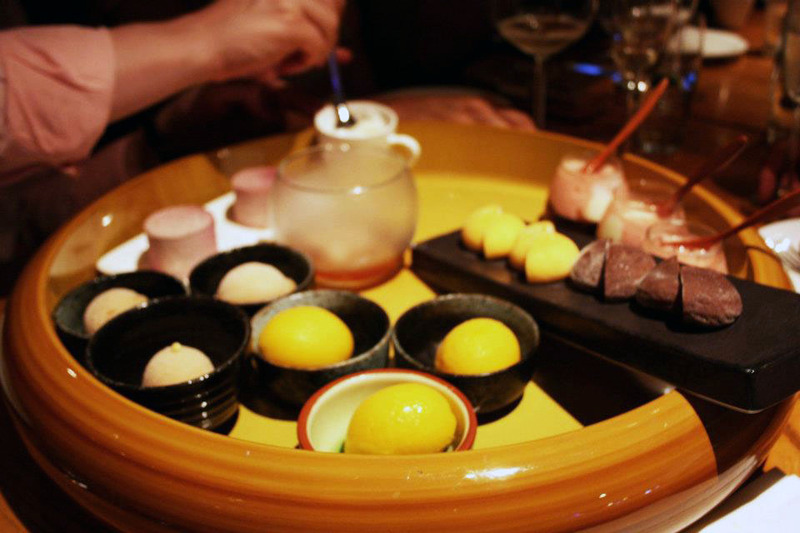 Some dishes, however, were well-made but not really innovative or interesting in any way, like the pork dumplings and the ice cream mochi. 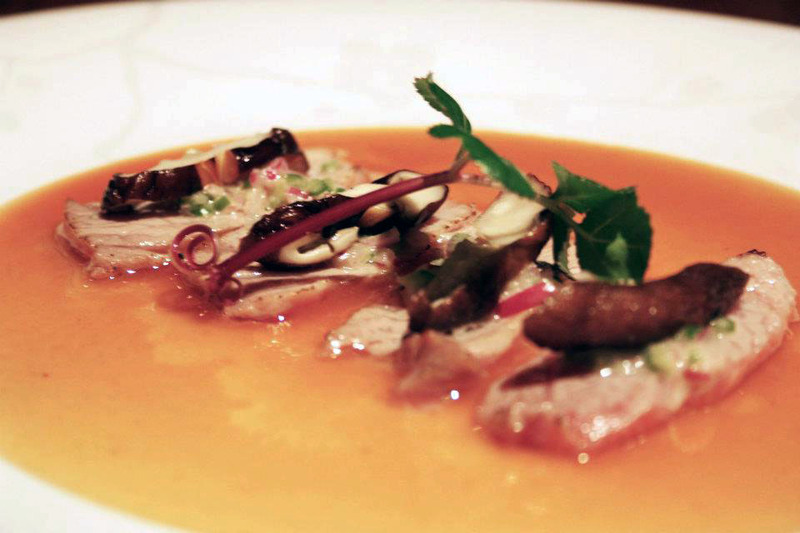 Overall, a great experience with great company, though I was expecting a bit more from the highly acclaimed restaurant. May 28, 2013 in HONG KONG.